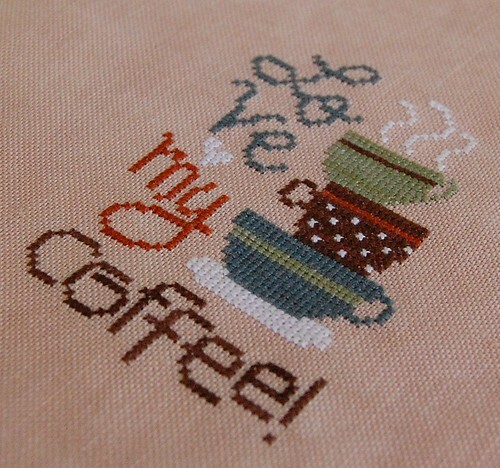 Nicole's Needlework: Love My Coffee! Lizzie Kate "Love My Coffee"
Very cute, Nicole! I love the colors! 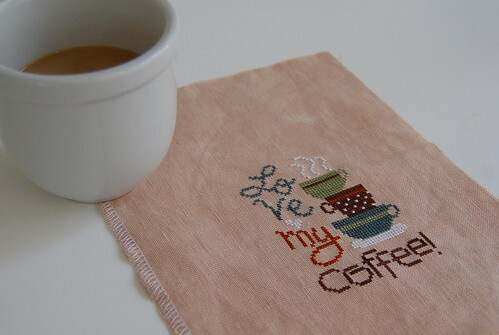 Your coffee and bee finishes are both lovely! That was fast stitching. It looks great ! Wow, that was quick! and it looks wonderful!!! Oooh, that's a lovely little coffee sampler. Beautifully stitched, too! thats cute i love getting a chance to stitch up lks as they stitch so quick too! Wow just in a day! Cute! Hi Nicole! You've been busy stitching while I was away. 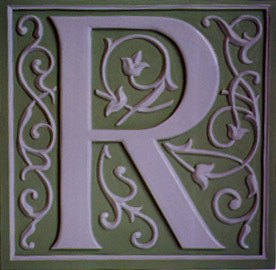 It's lovely to see all your recent finishes. Beautiful work!! Super cute, Nicole! I also love your new Fall fob.